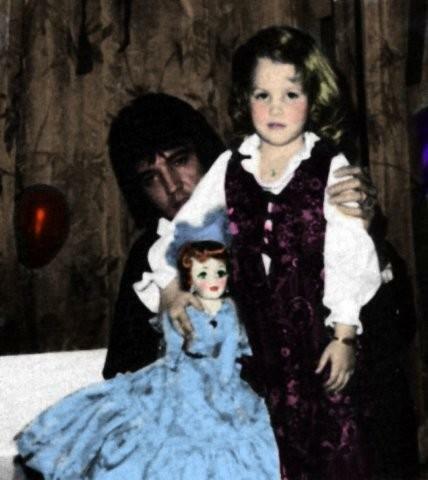 Daddy,Lisa and the doll. Lovely...♥. Wallpaper and background images in the Elvis Aaron e Lisa Marie Presley club tagged: presley lisa princess nice king baby elvis love. This Elvis Aaron e Lisa Marie Presley photo might contain polacca, polonaise, kirtle, and veste.